Today I’d like to introduce you to Bonnie McCune and her new book “Never Retreat” published by Imajin Qwickies. Writers are communicators, so I’m over the moon to connect with all of you. I’d love to get feedback because with fiction writing, my thoughts are flowing outward, but I seldom get a chance to interact with readers. I think I share with Madeline a love of humor and the absurd in writing. So although our books may be categorized as women’s fiction or mysteries, they contain the stuff of being human, firmly rooted in seeing the funny side of life. In terms of other qualities or traits, only time will tell if we’re similar. The process of writing both energizes and exhausts me. The energizing usually occurs when I cry “Eureka!” because a passage has flowed out of me mysteriously. The exhaustion comes in rewrite after rewrite (usually when a critiquer has found something that doesn’t make sense). I’ve been at this activity for decades. I’m always looking, and failing to find, shortcuts. Not for the actual writing, for the marketing and promotion primarily. I once had a brilliant idea to create a pseudonym using the last name of a famous author. I thought a publisher or agent might think I was his illegitimate daughter. If I remember correctly, I chose William Faulkner and William Burrows. Not a soul was fooled. I don’t believe in writer’s block. Only the wealthy can pamper themselves with that excuse. I spent years doing freelancing, mostly news and features in small publications. I learned to sit down and crank out the work because upon occasion, part of my family’s groceries came from that source. On the other hand, I do view writing as a kind of spiritual practice. Maybe not “spiritual” so much as cerebral exploration and learning. Writing’s given me new subjects to research. Even more important to my mental well-being, writing enables me to figure out people and interpersonal relations. Maybe you can tell I majored in psychology in college, although a friend of mine accused me of doing so simply because the case studies fascinated me. So what characteristics does a fiction writer demonstrate? One trait has to be an insatiable curiosity, a need to know. Another is a what-if mind. What if I threw a man and woman on a planet with scary aliens? What if the leader of every country in the world suddenly disappeared? What if a good man’s goodness was visible through a tangible halo? A big ego is possibly the least desirable attribute. A writer needs to be an observer, not a braggart. She should be a spectator not a leader, at least not in the writing world where she lives most of the time. Don’t misunderstand—a writer certainly might be an egoist, i.e. self-centered. But not an egotist, a conceited, boastful person. My voyage into writing started as a child. When I was very little, I had an old record player and a red plastic record with spoken stories. Then I discovered stories came in books, and I was sold. My first favorite book was called “The Backward Day” by Ruth Krauss. In it a little boy wakes up and decides he’ll do a number of things backward, including dressing in that fashion and sitting in his breakfast chair rearward. I was enchanted by the tiny little rebellion this represented. Over a few years I graduated to the Black Stallion series, the Little House series, Black Beauty and many others. In seventh grade I discovered science fiction with “The Wonderful Flight to the Mushroom Planet” by Eleanor Cameron. I was so enchanted by the idea that I could visit parts unknown via books, I decided to be a writer myself. I’ve never stopped. 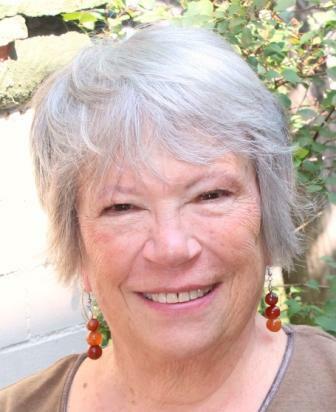 AUTHOR BIO: Bonnie McCune has been writing since age ten, when she submitted a poem about rain rushing down the gutter to the Saturday Evening Post (it was immediately rejected). This interest facilitated her career in nonprofits doing public and community relations and marketing. She’s worked for libraries, directed a small arts organization, and managed Denver’s beautification program. Her true passion is fiction, and her pieces have won several awards. Never Retreat is her third novel and her fifth book of fiction. For reasons unknown (an unacknowledged optimism? ), she believes one person can make a difference in this world. Visit her at www.BonnieMcCune.com, Bonnie@BonnieMcCune.com, twitter.com/bonniemccune, facebook.com/authorBonnieMcCune, www.linkedin.com/in/BonnieMcCune. PUBLICATION INFO: PUBLISHING MARCH 15, 2018, 978-1-77223-350-6 Kindle ebook, 978-1-77223-351-3 Trade paperback, 240 pages. 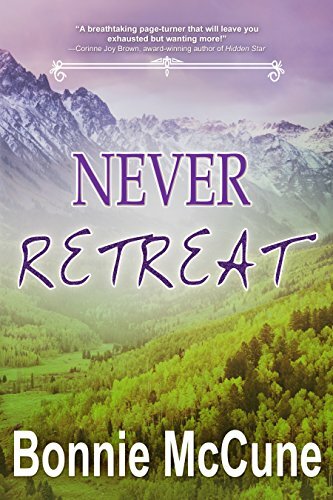 https://www.amazon.com/dp/B079SY632Z, http://getBook.at/NeverRetreat or. Imajin Books, www.imajinbooks.com. Ebook and paperback.